The look out for innovative Internet of Things (IoT) and Wearable Technology (WT) solutions has begun! 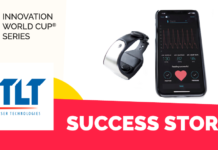 The IOT/WT Innovation World Cup®, powered by Navispace AG since 2003, is welcoming techpreneurs around the world to make their innovations visible! 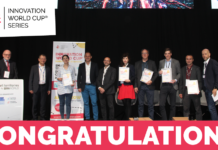 The contestants will become part of the leading innovation ecosystem and have the chance to win prizes worth more than 500,000 USD, including a cash prize of 10,000 Euros, plus valuable business connections that help them to boost their solution’s development and go-to-market approach. As the Internet of Things is changing the way technologies integrate in business operations, an industrial revolution is waiting just around the corner! The number of connected devices is constantly growing and allowing us to monitor and learn from different metrics that improve and optimize core business activities. 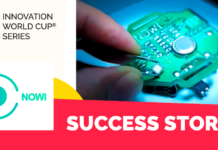 This revolution has a huge impact on the industrial environment and everyday lives, which is why the IOT/WT Innovation World Cup® looks for front runners who have the potential to disrupt the existing paths and lead us to the new IoT era. 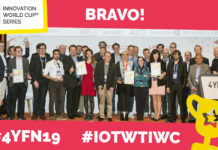 Will you be the next IoT or Wearable Innovator of the Year? Register now for free here! Previous articleThe IoT Innovators of tomorrow are here! 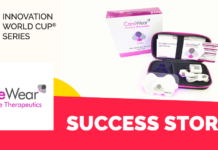 Next articleA new partnership with Startup India Hub begins – the Innovation World Cup® Series goes Desi!